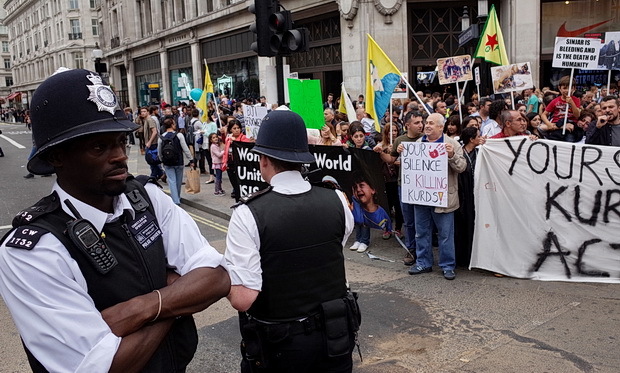 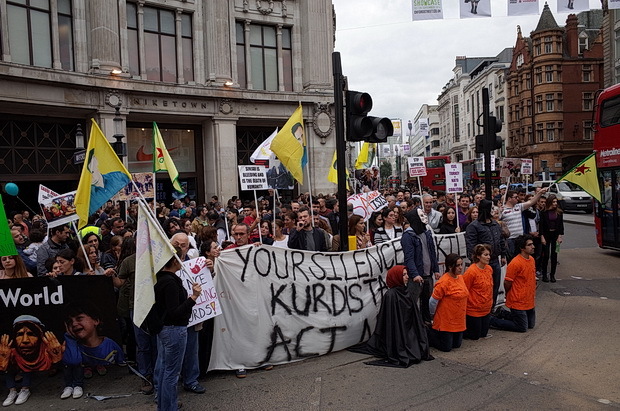 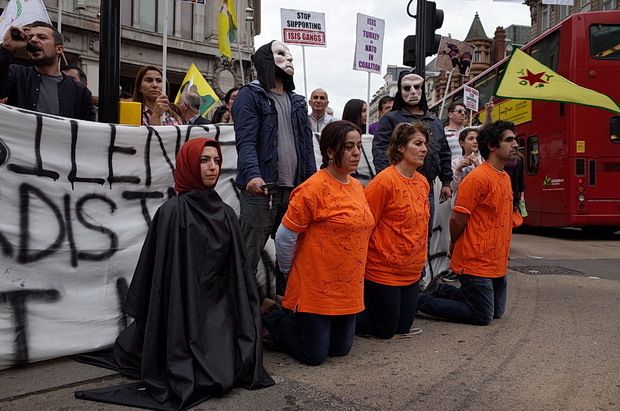 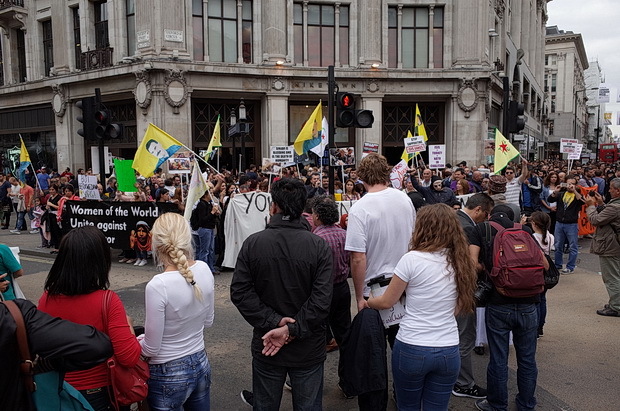 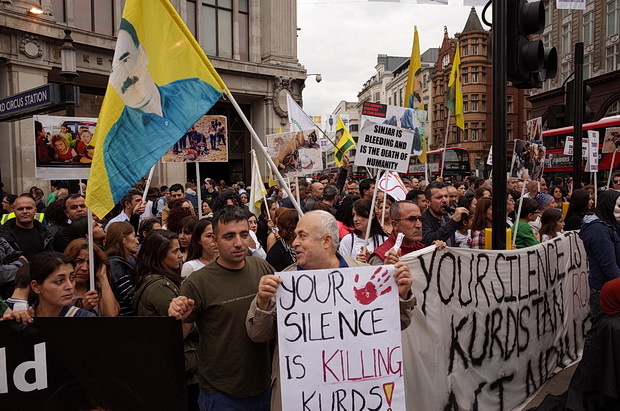 Part of the busy Oxford Street junction with Regent Street was gridlocked this afternoon as Kurdish demonstrators protested against the Islamic State (ISIS). 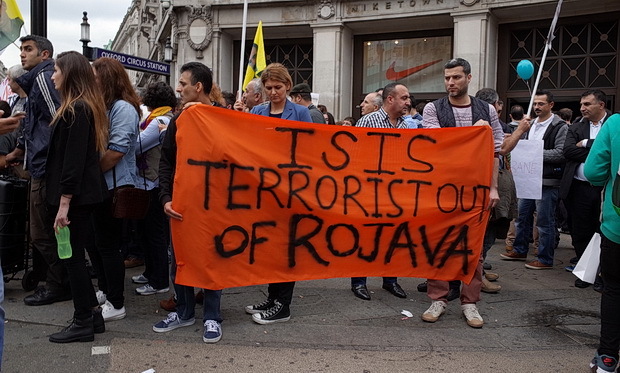 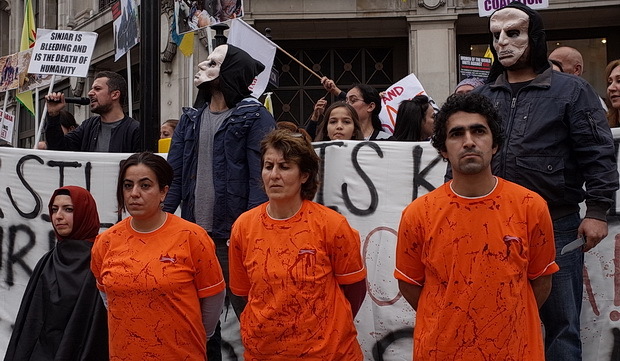 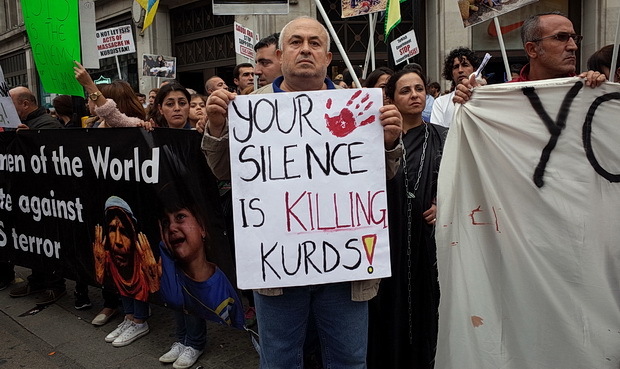 The activists, many of whom are Iraqi Kurds, accused the British government of supporting the Islamic State (IS, formerly ISIS) by providing training and arms to Syrian rebels, many of whom are affiliated with the terrorist group. 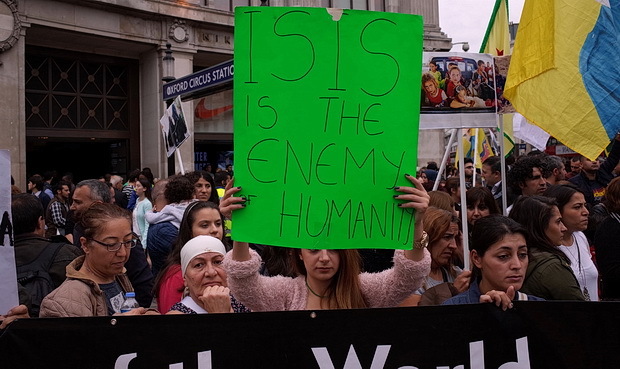 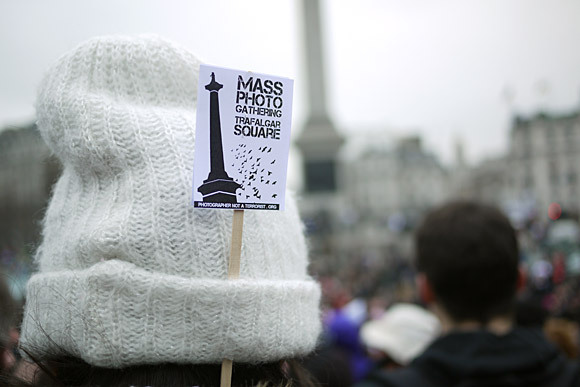 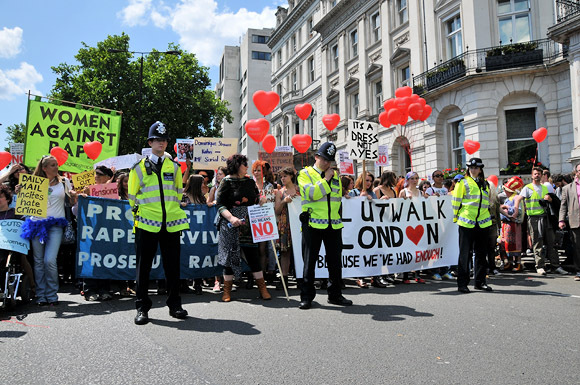 Marching on Trafalgar Square, the group chanted ‘Down with ISIS!’ and ‘Wake up, UK!’ They also criticized the British government’s close ties with Saudi Arabia, who they say are the primary funders of the Islamic State. 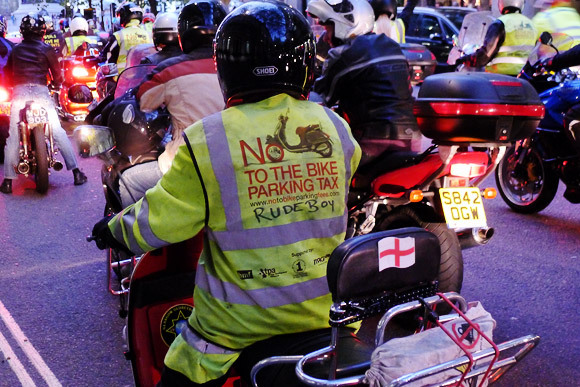 Discuss this on the urban75 forums.